Follow in the footsteps of the ancients – up the ornate steps of the Forbidden City and to the ramparts of the Great Wall, snaking its way across the rolling countryside, and through the winding ancient alleys of this amazing city! 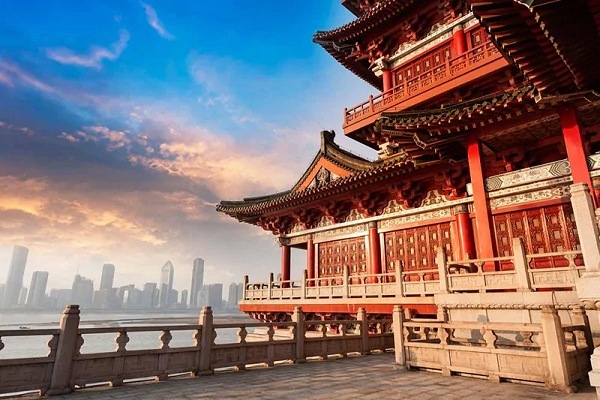 Spend 10 days touring the best China has to offer, as you visit three cities steeped in Chinese history and culture. Visit Tiananmen Square, Forbidden City, Temple of Heaven and walk the Sacred Way in Beijing and the Terracotta Warriors in Xi’an, the Jinmao Tower in Shanghai and the Great Wall of China. 9 buffet breakfasts, 5 lunches (including Be My Guest lunch at the home of a local family) and 3 dinners. A rickshaw tour of the ancient alleyways of Beijing…A relaxing foot massage at the Foot Reflexology Centre…A T’ai Chi Class, taught by a skilled practitioner…A visit to a charming tea house, where a local specialist prepares and serves tea, while explaining the historic tea making ritual…A tour of Emperor Qin Shi Huang’s subterranean tomb, a UNESCO World Heritage site…and a performance by the world-renowned Shanghai Acrobatic Troupe. Best of all, our service partner Trafalgar Tours provides top-notch extras like luxury air-conditioned coaches with audio headsets; cherry-picked hotels, all tried and trusted; an expert Travel Director and separate Driver, and airport transfers.